Summer is coming and if you haven’t already, it’s time to turn up the heat! Sara and I are big fans of the crop top (in case you haven’t noticed yet, we’ve basically worn a crop top in every video we’ve made since January LOL), so today we’re going to share with you our best abs workout for Crop Top Abs secrets. If you missed Part 1 of this series, or you need a beginner bodyweight warmup to try before you start today’s workout, check that out here. 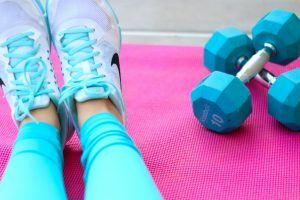 Today I’m going to run you through a metabolic core workout that’ll help you sculpt and tone the visible parts of the abs that peep out when you’re wearing whatever cute little crop top you’ve set your sights on for summer. That means we’ll be working the upper abs and obliques primarily, but also a little bit of the lower abs too. Remember though, there’s no way to “spot reduce” body fat, so if your abs are something you’ve been struggling with, I’m going to first explain to you why the metabolic portions of this workout (aka the higher intensity exercises) will help you trigger a hormonal response in your body that puts you into extended fat burning mode. The only way to get flatter abs, especially if you’ve been struggling, is to reduce your overall body fat percentage. We will start this process today by including Heart Rate Training to trigger a metabolic fat burning response throughout the workout. 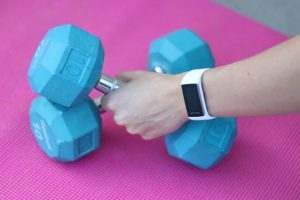 If you’ve ever heard of heart rate “zones” before when it comes to working out, this post is going to break down what that actually means and why you should seriously consider heart rate & activity tracking in your workouts. 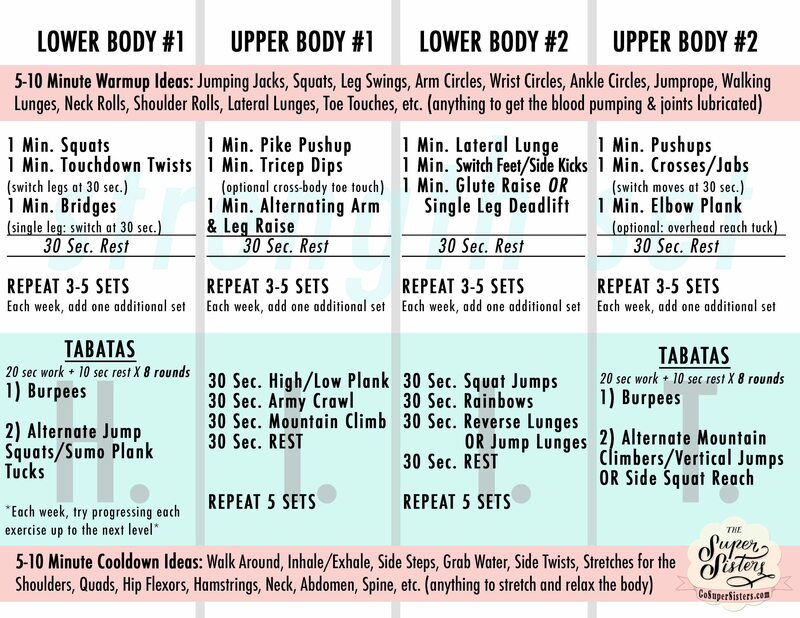 I will first give you a brief explanation of heart rate training and the HR zones concept, then I’m going to run you through the Crop Top Abs Workout at the end of the post. 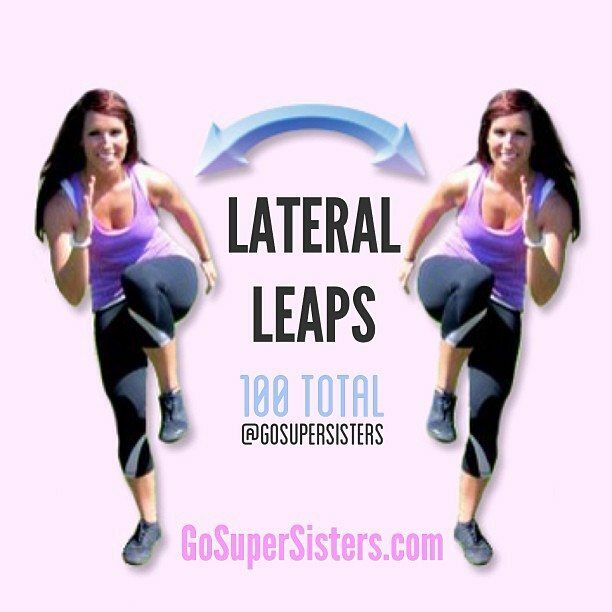 NOTE: You can do today’s abs workout routine from home as long as you have a dumbbell or a full bottle of laundry detergent! This workout is specifically designed to help you produce superior fat burning results in a short amount of time, even after your workout session has ended. How? It all comes down to metabolic training. Metabolic training produces the “afterburn” effect — a metabolic state your body enters after performing a series of high intensity training bursts for short intervals of time. Usually this type of training requires you being in Zones 4/5, which is approximately 84% of your maximum heart rate. Well, simply put, training in these higher HR zones for short durations (no more than 10-20 minutes per workout, 1-2x per week) produces continued calorie burning results for up to 24-36 hours post-workout. How? 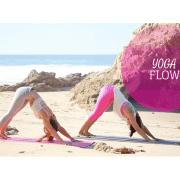 Because your body must work overtime to return itself to a balanced place of homeostasis. This metabolic state (where your body is burning calories, even after your workout has ended) is technically called EPOC, or Excess Post-Oxygen Consumption. The key takeaway? EPOC is incredible for keeping your body in extended fat burning mode. So for example, I’m 29. Using this method, my maximum heart rate would be: 220 – 29 = 191 beats per minute. So for me, that means my anaerobic threshold is at around 160 beats per minute. You’ll notice in today’s workout that I hover between 160-185 in my higher intensity bursts of activity. This is the zone I try to stay in while performing my short metabolic bursts of exercise in today’s workout, and I use the Polar A360 to help myself stay on track with this. Whatever this threshold number is for you, use it wisely because having a ballpark estimate like this gives you an awesome gauge to make sure you’re actually being productive by staying at the proper intensity in your workout. How do you make sure you stay in your fat burning zone during the workout? 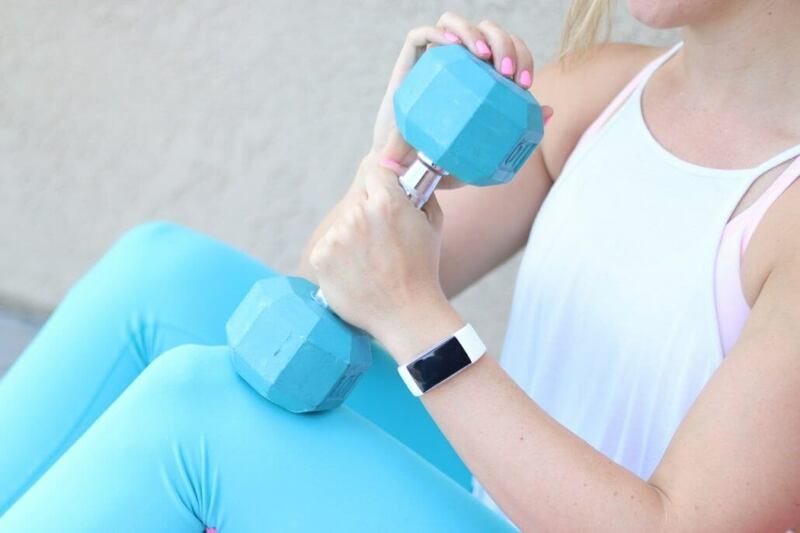 You’ve probably heard of fitness trackers before. 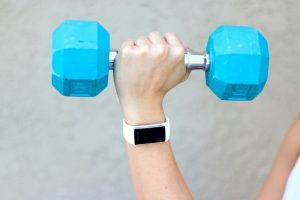 Recently I read an article about a guy who wore 3 different kinds of fitness trackers. He discovered that they all gave him different readings. 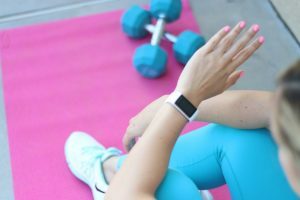 So what’s the deal with these HR trackers? Do they work? And are they really worth it? I’m also going to be testing out the new Polar A360 fitness tracker to see how it holds up. As you’ll notice in the video below, having this fitness tracker is actually quite useful. It also automatically updates my information to my training log for me, so I don’t have to keep track of the data myself. The end results of my trials with the Polar A360 tracker? I like it and can see the real value in using one of these activity trackers now. But they’re not cheap… So what’s the alternative? The Talk Test is a simple test you can self administer. It works like this — you should NOT be able to talk or hold a conversation when you’re in your higher heart rate zones. That’s pretty much all you need to know. When you’re working out in these higher HR zones, your cardiovascular system is working so intensely that you’ll be huffing and puffing oxygen — therefore you’re left unable to carry on a normal conversation. If you try to talk, your words will be broken and you should be nearly gasping for air in between. If you’re able to get out a few words or more (including full sentences), then you’re not training hard enough and you won’t reap the fat burning benefits of EPOC from this higher intensity style of training. Now that you know why metabolic training and HR zone tracking is important and how to get started really sculpting the abs the right way, let’s jump into today’s best abs workout together. Watch the video below and aim to repeat 3-4 sets of each exercise for a total of 15 minutes of high intensity core exercises. Make sure you keep an eye on your heart rate during and immediately after each high intensity interval! 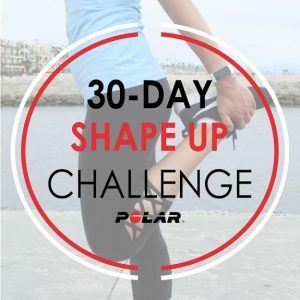 If you’d like to join the 30-day Polar Shape Up Challenge, you can do so by downloading this free ebook here. You’ll get workouts and more meal ideas from us and other fitness bloggers as part of the campaign. Enjoy! 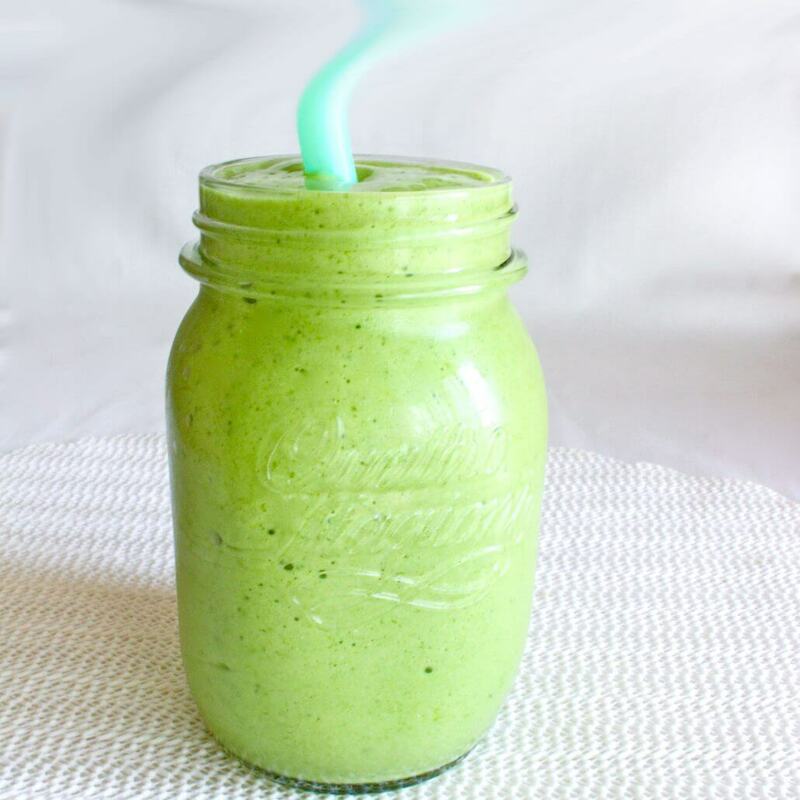 Blend all ingredients together in a high-powered blender & enjoy!